Destination Wedding Favors available at affordable prices from flip flop, anchor, and beach theme favors. Trendy in design and traditional in function, these Anchor Old Fashioned Drinking Jars make a great addition to any home. 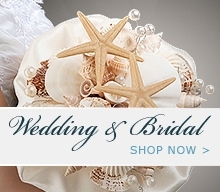 The starfish design bottle stopper is a great favor for your destination wedding. The starfish design bottle stopper comes with a thank you tag and white ribbon.